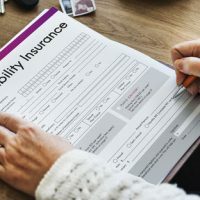 After crossing over the numerous hurdles involved with the approval process for Social Security Disability Insurance (SSDI) benefits, recipients commonly think benefits will continue as long as they are needed. The security of knowing a check will be received each month to cover expenses is especially important for someone battling a disabling condition. Stress is known to exacerbate physical and mental impairments, and financial worry is a significant source of stress for most people. However, there are certain changes in circumstances that can affect the continued receipt of benefits. While the Social Security Administration (SSA) understands that changes happen in everyone’s life, some adjustments are viewed as so significant that they disqualify the person from receiving further benefits. SSDI recipients have an ongoing obligation to notify the SSA of changes in circumstances, and the failure to do so could result in penalties. Consequently, it is important to keep the SSA updated. An overview of changes that must be reported, and their potential effect on SSDI benefits, will follow below. Returning to work directly affects a person’s income, and SSDI has strict income limits for all recipients. Thus, any changes in income must be reported so the SSA can assess whether the person still qualifies for benefits. The SSA does have a trial work program for SSDI recipients that allow them to work for a nine-month period during which they can assess if employment is feasible. Benefits continue through the trial period, and the SSA will cover some expenses for items needed to get to work or do the job, such as wheelchairs or walkers. Applying for or collecting disability benefits from other sources, such as workers’ compensation or private disability insurance policies, also affects the person’s income and must be reported as a result. For workers’ compensation or other public disability benefits in particular, recipients are only permitted to collect up to 80 percent of their average earnings prior to the onset of the disability. Pensions, just like the other changes noted above, can also affect income. Pensions that are of particular concern to the SSA are those from jobs that did not pay social security taxes. Common examples of pensions of this type include: federal civil service positions, positions with foreign governments, and some State pension programs. Finally, any changes to marital status must be reported, especially if the person is receiving SSDI benefits through a spouse’s earnings and/or work history. Any of the changes described above could result in the reduction or elimination of a recipient’s SSDI benefits. A big component of SSDI benefits is the income cap imposed on all recipients. Non-blind recipients’ monthly earnings cannot exceed $1,170 for 2017, except during the trial work period. If income exceeds this amount, the SSA views these individuals as no longer disabled and discontinues benefits. Disability payments from other sources can result in a reduction of the SSDI benefits depending on the amount received, especially if workers’ compensation is involved. The same is true for pensions. Determining if an individual continues to qualify for SSDI benefits following marriage or divorce can be somewhat complicated, and a disability attorney should be consulted if this is a concern. Not reporting these changes can lead to overpayment and the imposition of penalties. Any overpayment of benefits must be repaid, even if the money is already spent. Failure to repay this money could cause a complete suspension of benefits. In addition, failure to report can result in penalties that reduce monthly benefits by $25 to $100. If the SSA decides the information was deliberately withheld, benefits will be suspended for at least six months. If you live in Florida or South Georgia and are in need of an attorney experienced in disability insurance benefits, contact Farrell Disability Law about taking your case. They understand the frustration of being denied benefits, and will fight to get you the money you deserve. Contact us for a free consultation.